Organizational learning, knowledge creation, retention, and diffusion are strategies that open many a window of opportunities for organizations to differentiate themselves in the global economy. However, performance based on knowledge has not yet become exposed. Intangible assets must be continuously analyzed to reach organizational performance and sustainability. New management and economic literature reveals that communities of practice focus on humanized leadership and self-efficacy that promote added value to the organization. Furthermore, the humanisation of the organization perspective becomes the nucleus and the framework for all levels of productivity and competitiveness. This chapter posits different organizational learning pathways according to a holistic perspective with humanisation as a unique element. The chapter is centered on an analysis of the human capital construct as the point of departure. Furthermore, the chapter reflects on humanized and humanising emotional, spiritual, and relational capital in order to reach the level of organizational knowledge. In the current globalized world, change is rife and in order to be sustainable, organizations need to view learning as dynamic, strategic and holistic in nature. This thinking calls for shifts in mind-sets and management approaches. Several constructs will be explored in this research in order to reflect on the importance of training, learning and development in contemporary organizations. These constructs include humanization of the organization through the intangible and strategic nature of capitals, namely, human capital, social capital, emotional and spiritual capitals. This chapter will explore the concepts of communities of practice (CoPs) and their link with skills transfer in organizations. The theoretical framework chosen for this research is the Resource-based and Knowledge-based Views of the Firm along with the Learning Organization principles to demonstrate the paradigm shift from the scientific management approach to the new age paradigm. In order to improve efficiency and knowledge diffusion, organizations need to invest in projects that energize humanization in the organization and in its people through competency management, a source of competitive advantage. Another source of competitive advantage is social responsibility because it enhances the humanization ties of the organization. This humanizing perspective arises with the human relations school which endeavors to free the employee from the role of ‘production slave’. Nevertheless, the individual has remained a subordinate in the organization because the group has the power and not the individuals of the group, nor their feelings. Therefore, what has now become a concern is the group and not the individuals nor their feelings of a particular group. 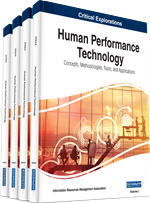 Indeed, humanization does have direct influence on individual performance and can be considered a differentiating element of organizational competitive advantage which warrants organizational strategies to be redefined. This humanization perspective focuses on people according to the social standing which is contrary to the Taylorist viewpoint which focuses on the physical dimension. This social perspective, despite its importance, is insufficient because it does not encompass the four human dimensions, namely, body, mind, emotions and spirit. There is a group of questions situated in the realm of humanizing the organization that warrant reflection. These questions are, namely, (i) how to demand more synergies? ; (ii) how can higher organizational performance levels be obtained? ; (iii) how to improve individual income efficiencies and enable each individual to perform their very best, in a context of scarcity both of time and investment, to know who the people are, where they are and where they wish to be? This is the context in which this chapter is contextualized to highlight the importance of new strategic values for organizations. These values are unique and essentially intangible in nature; they add structure to and promote organizational sustainability and competitiveness. In the current competitive environment, these values are elements of a pool of heritage capitals per excellence. These facilitate improvement of organizational efficiency indicators. This chapter is directed at creating a reference composed of strategic values which distinguish organizations. Based on this aim, this chapter starts by presenting critical reflections on extant literature about organizational performance and its dynamic link with human capital to demonstrate the importance of this capital in promoting organizational sustainability; the inimitable nature of human capital is emphasized to distinguish it as a strategic capital with multiple profitability powers. Based on this importance, human capital is related to and arises from intellectual capital. The debate ensues with reflections on the constructs of training, learning and knowledge sharing, regarded as paths towards efficient and effective resource distribution and performance. Knowledge creation and diffusion is a fundamental start in the organizational constellation. In this context, organizational learning is explored as a collective process of intelligence. Subsequently, the structural foundations of humanization in organizations are set out and related to CoPs. In addition, extant literature is reflected on to demonstrate a concomitance between new leadership directions and CoPs. Conclusions, reflections and recommendations for future research will be set forth.